As expected, Liam Henderson departed Celtic and headed for Serie B side Bari this week, but on a permanent deal rather than a loan. Despite my disappointment at this, I think it’s a pretty good move for the youngster. Under another manager or different circumstances he may even have had a Celtic future. In fact I was convinced he would, but that ship has now sailed…to the Adriatic Sea. At Liam’s age this will benefit his career. Not many young Scottish prospects get such an opportunity and certainly not those who have seen so little action. So I wish him all the luck in the world and hope to see him back at Celtic Park one day. It’s another Celtic departure of course as Brendan Rodgers continues to trim his squad. Jamie McCart, recently loaned to St Mirren, has now gone on loan to Alloa Athletic. Another youth player seeking first team football at another club. Realistically there are a few others who should probably leave as well that I wouldn’t bat an eyelid at. This is the second wave of clearouts since the summer cull. 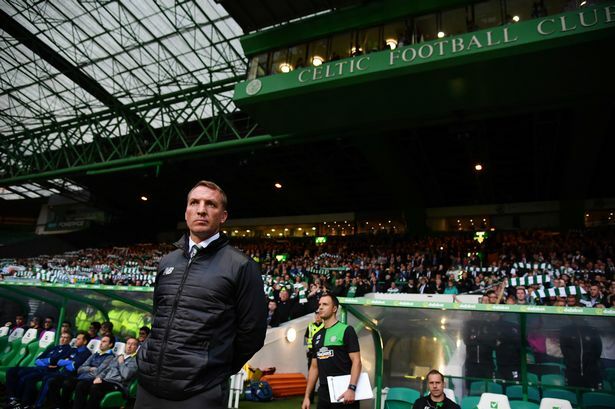 The vastly inflated squad that Brendan Rodgers inherrited is much leaner now. Is it getting too lean though? At full strength no, but that’s the problem. Too many injuries and poor form have hindered Celtic this season. If we lose any of our key players in this window which is always being suggested by the SMSM, are they to be replaced? At some point Celtic will have to invest or blood youth, but we also need the right quality. Perhaps that’s where Bredan is going with the squad long-term. Whittling it down to the size and standard that allows room for opportunity. When your numbers are so great, how can you satisfy youth and squad players simultaneously? You can’t and that’s where Celtic are right now. It’s still predominantly a Ronny Deila squad. Part of the Brendan Rodgers rebranding seems to be to axe those who aren’t fit to wear a Celtic jersey be it skill, ability or fitness and work with those who are, leaving room for improvements. Today the current squad are back in action after a much needed winter break. Celtic host Brechin City at home in the Scottish Cup and embark on their quest for back-to-back trebles. It’s a huge task which I’m sure the rest of Scottish football will be trying to stop from happening. Celtic are the team everyone wants to take down. Brendan’s players should be refreshed and ready to burst back onto the scene though and face these challenges. It’s time to put the sluggish second half if 2017 to bed and welcome 2018 at Celtic Park this afternoon. This is the same season, but its a new year. There’s a treble out there. Well what a way to start your Celtic career. Get injured and ruled out for a month before you’ve even kicked a competitive ball for your new club. Unlike many of our fickle fans, I wasn’t about to start ringing alarm bells with the club’s transfer activity in this window. I can’t believe Celtic’s luck with injuries though. It seems we are being continuously tested in this position through fitness, injury or competency. So perhaps the story about Dusko Tosic does carry some weight after all? In a couple of days the Serbian will turn 33 years old. With Compper injured for a month, Sviatchenko out on loan, Simunovic possibly leaving and Boyata and Ajer our only potential central pairing, Tosic might be a short-term answer. The long-term answer might come in shape of Dundee’s Jack Hendry. The question many are asking though will be is he ready for the big time? As fuzzy as I am with the whole UEFA cup-tie complexities, I believe Tosic would be able to play in against Zenit. Indeed if injury free he can just play anyway! Elsewhere, Celtic youngster Mark Hill went out on loan to St Mirren for the rest of the season. There is still no confirmation about Liam Henderson but he is rumoured to have been offered a deal with Bari. Brendan Rodgers was still no clearer on the future of Moussa Dembele in his interview with the media. Though he did maintain he expects new signings. Yesterday I was overwhelmed by the amount of negativity by many Celtic fans. I feel the panic button has been hit prematurely by a few. After today’s injury blow I now fully expect fans to go into overdrive. In fact I haven’t checked yet but it’s probably already under way. Celtic have been desperately unlucky this season with injuries. 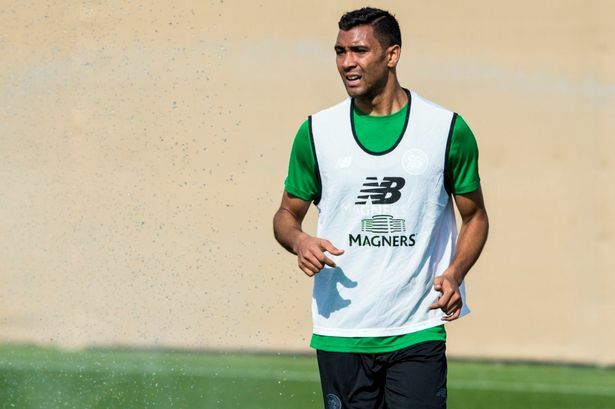 The current injury list consists of Tom Rogic, Paddy Roberts, Jonny Hayes and now Marvin Compper. Since the beginning of the season though, there have been long-term absences at crucial stages for the club for other players. At one point Celtic were without Dedryck Boyata, Jozo Simunovic, Leigh Griffiths, Moussa Dembele Anthony Ralston and Erik Sviatchenko. Whether you agree with Brendan Rodgers or not, these all would have been important had they been available at the time. The push toward the end of the season will need all of the current squad to get back on their feet and back in the game. Yes we do need some more talent but we also need our Bhoys back on form. They’ve had their break in Dubai and not it’s time to get back to work. The window is open but until fresh blood arrives it’s down to THIS squad of players. Let’s keep the head and see what unfolds over the next two weeks. In the three week period Scottish football has had it’s winter shut down, Celtic have been busy. Three new players have been drafted in and a new contract was signed by an existing player. There has also been movement in the other direction taking the current total of loaned out players to nine. Erik Sviatchenko joined the list as he goes out to FC Midtjylland for the rest of the season. Out of favour Nadir Ciftci has gone on loan to Motherwell and with any luck will turn permanent for all our sakes. Recent signing Lewis Morgan has been loaned back to St Mirren for the remainder for the season as the Buddies seek promotion to the top flight. Celtic youngsters Joe Thomson and Regan Hendry have gone on loan to Queen of the South and Raith Rovers respectively. Summer signing Kundai Benyu has travelled south once more to team up with League One outfit Oldham Athletic where he has already made an impression on the fans. Next to follow could be Liam Henderson. With his contract up this summer and first team chances dwindling, a possible switch to Bari could be on the cards after he went for a trial in Italy. For the youngster, who I like a great deal, I hope this works out. It doesn’t look like he will be featuring in Brendan Rodgers’ plans. So far, there have been no big moves in or out by Celtic. Sviatchenko’s loan to his previous club is understandable, but given his claim that he was told he could leave I thought a permanent deal would have been what he wanted more than that. One player who probably won’t go anywhere this window is Stuart Armstrong. He underwent surgery in Germany on Monday for supposed ongoing hernia problem. The midfielder’s contract talks stuttered last year before he signed a new deal. That equated to one more year on top of his current deal with possible improved terms, but this season Armstrong has been off the boil completely. It could be said that this hernia might be the source of his poor form, but it certainly hasn’t stopped him being played by the manager. Like many of his other invincible team mates though, performances have not been as good as last seasons. Many expected the extra year he got on his contract was so that Celtic could maintain some reasonable sell-on value in this transfer window or the next. Whilst I don’t necessarily disagree with that theory, I was more of the opinion that what he wanted, Celtic weren’t prepared to give based on one good season. He may well have his sights set on a move south, but I was also thinking that if Celtic gave him the right deal he would stay for a bit longer. To get that he would have to have put in a better performance this season but that hasn’t transpired. Either way, the deal was for both parties so who knows what the future holds for Armstrong. The same can be said for Moussa Dembele. Constantly linked with a move south, he is still at the club with no offers made we are being told. Since his first seasons showing, he hasn’t been as involved with injury being one of the main reasons behind his absences. We know his ability but this season opportunities have been limited. Interest is still said to be high, but if he did go now Celtic may be more likely to take less than the sums being suggested at the same time a year ago. One piece of news I was pleased about was a new deal for Anthony Ralston. He’s already cut his teeth in the Celtic first team and looks solid in the right back berth. Let’s hope that we will see more of him this year. He has the chance to make this role his own. With two weeks still to go, I think there’ll be further movement in both directions. Then it’s back to work on Saturday with a home Scottish Cup tie against Brechin City (is Brechin a city?). The break for this squad has been crucial. Every player looked leggy as 2017 wore on. Although we’ve been hampered by injury it is clear that the players looked out of sorts. The unbeaten run was also a factor and thankfully we can put that one to bed. 2018 is a new year with new opportunities for this team. Looking forward to Saturday already. I fully expected to be doing an end of year review about now. I abandoned that (ever so slightly) to address recent developments at Celtic. The lacklustre 0-0 draw with Rangers at home was the main talking point until stories began to circulate about a revolving door in this transfer window for Celtic. There are plenty of factors that have brought about this need for change in fact they’ve been collating for some time now. The efforts of our manager and his team of invincibles have perhaps distracted us from this. Or perhaps these have always been known issues which have been given time to run their course? Either way, Brendan Rodgers has stated that he foresees a few players moving on who want more games than they’re currently getting. When you compile that qualifying list of players it consists of fewer than we had in that position a year ago following a summer culling. Celtic already have several players out on loan but nothing has been suggested about their futures as yet. More may follow with youth prospect Regan Hendry going out on loan to Raith Rovers as well as Joe Thomson back at Queen of the South for a seecond time. Scott Allan’s loan spell at Dundee continues. A permanent switch might be good for all parties given the unlikeliness of him making it at Celtic now. The same could be said for Nadir Ciftci who remains on loan at Plymouth Argyle. He’s there until the summer but with one year left on his contract at Celtic he could find himself out on loan again if Plymouth Argyle send him back north. The main shifting came from Erik Sviatchenko who has been the first to confirm he will be moving on permanently. After speaking in his homeland he confirmed that he had been told he could look for another club. For many this won’t come as a surprise. He appeared out of favour not long after Brendan Rodgers arrived despite looking like a shot in the arm after he arrived in January 2016. Injury has kept him out this for most of this season until recently. Despite not having a settled defence though, Sviatchenko hasn’t found his way back into Rodgers’ plans. It also appears that the axe is still swinging through the Celtic defence with suggestions yesterday that Jozo Simunovic could also be on his way out. Surprised? Well his time at the club has always been filled with slice of curiosity. A potentially large fee was agreed for such a young player that none of us knew much about. I thought it seemed like a remarkably huge gamble for Celtic at the time. Since then, it’s fair to say Jozo looked decent whenever he’s played. That was just the problem though. He barely played. A total of 17 games in his first season under Ronny Deila were all down to injury. A transfer to Italy fell through in the summer that Brendan Rodgers took over and the Croatian turned Bosnian and Herzegovinian international went on to play 33 games that season. This season he’s managed 12 of the 38 competitive games Celtic have played in less than 6 months which hasn’t helped the manager at all. Now it’s rumoured he may have played his last with a move south the latest story doing the rounds. If true I’m totally baffled by the entire fiasco especially with his last move collapsing and then going on record as always being committed to Celtic. I mean does he want to go or is he being shown the door? In terms of being culpable in big game errors he is no worse than any of his central defensive counterparts and has looked like our best centre half, but his injury concerns are unhelpful. In general Celtic have been poor at the back this season and seriously lacking stability. Surely that would mean Dedryck Boyata is in the firing line as well? So far I’ve read nothing about that but you never know how this window will go. You would have to say that one guy that has to go is Cristian Gamboa? Since his arrival 18 months ago he’s played 23 matches – that’s 21 last season and 2 this season. If he isn’t providing Mikael Lustig with a challenge, particularly when he could do with one, you’re a wasted pay packet. With Anthony Ralston back in contention after injury and with a fresh contract, there’s no place for the Costa Rican defender now. Another regular no-show is Liam Henderson. With virtually no game time this season at all his time is probably up. I genuinely like the kid but he hasn’t featured enough to convince me that he is in Brendan’s plans. Another loan might buy him some time but he should already have been out on loan if that was the case. I would probably haven thrown Kristoffer Ajer on this list as well but he’s actually been played the last couple of weeks. The cynic in me would normally say he’s being put in the shop window but Rodgers has only had words of encouragement for him suggesting that he has a future at Celtic. I questioned why he wasn’t fielded earlier in the season particularly with all our defensive injury problems. So it’s been pleasing to see the guy get a chance and do well into the bargain. He went on loan to Kilmarnock a year ago and played 17 games. So I was surprised that he was overlooked earlier in the season with Nir Bitton getting the nod instead. Bitton is a midfielder of course, but this season his inclusion has been mainly at centre half. That drew a lot of criticism about Celtic’s failure to shore up adequately in defence for the season ahead especially in Europe. Now that criticism is seemingly coming home to roost. We could well be looking at some significant changes in Celtic’s defence this month. We already have one player coming in, in the shape of experienced Bundesliga defender Marvin Compper. That will hopefully bring some stability for the future of this defence. I’ve often wrote on my blog that Rodgers has never really recruited heavily since his arrival 18 months ago. At some point this was going to have to change and it looks as though that time is now. We all suspected we might lose Moussa Dembele in January. His name has slid down the pecking order in this window by the looks of things. Stuart Armstrong was another name on that initial exit list, but I think his name has dropped down list as well. He needs to start improving his season if he really does want to move on as many folk would have you believe. So it looks as though things are about to change at Celtic. I’m pretty optimistic about this to be honest. The winter break couldn’t come quick enough. This squad of players look jaded. Brendan Rodgers downsized the massive squad he inherited after one year in charge. Now that looks to be reduced further. The bottom line is he needs players that are good enough and fit enough to play week in week out. So many let downs have come from players only able to tick one of those boxes. We’ve been unfortunate in some areas whilst other situations have been poor judgement. Our defence has suffered this season through injury, lack of back up and failure to recruit in the summer. Other areas of the field have been strong enough in terms of numbers. Though some of the performances from key players has been a let down overall. I suggested that the unbeaten run was a possible contributor to that mentally and physically. Whether I am right or wrong about that, this winter break will be good for all concerned.